This entry was posted in Commentary, Medical and tagged brain, EEG, exercise. Bookmark the permalink. There’s an incredibly important principle in here about the “use” of neuroscience that has been worrying me for some time. If we are not discerning… if we don’t ask the right questions… if we don’t talk to the right people… if we don’t understand the research… then we are in danger of misinformed and unethical practice. It’s already happening… let’s just make sure we don’t fall into that trap and that we highlight weak representations of apparent neuroscience. Neuroscientists deserve that from us don’t they? Thanks for the Insights on the Workings and Option of creating Scan Images. Let’s say you scan a Person doing a simply Task and show the Scan Image with different Settings. Then have an Scan Image of the same Person doing a more demanding Task – and also Variations of Scan Images. I believe the paper in question is Hillman / Pontifex, “The effect of acute treadmill walking on cognitive control and academic achievement in preadolescent children”, Neuroscience 159. http://kch.illinois.edu/Research/Labs/neurocognitive-kinesiology/files/Articles/Hillman_2009_TheEffectOfAcute.pdf Here is a PDF (With the images on page 1050, the incongruent trials, in black and white). Tried to find the source of the original image by playing with time ranges on Google’s search tools . Failed to find the source unfortunately. 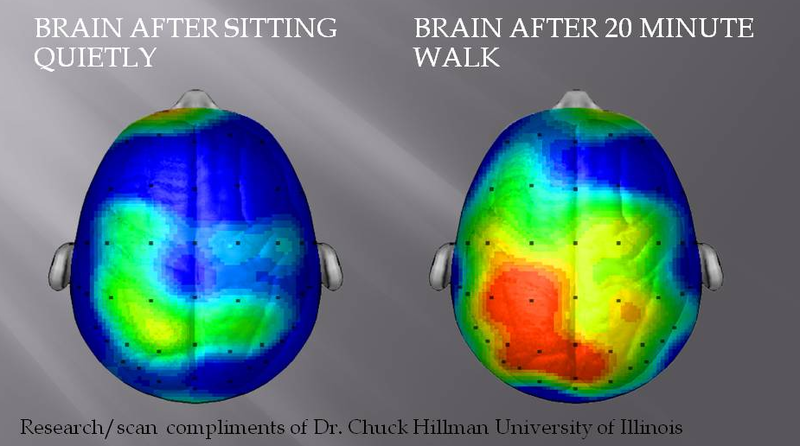 Next appearance chronologically and first I can find with the metallic silver background (although different font, text style to the above image) is in an April 2011 PDF by Marianne Szeto called “Aerobic exercise primes the brain for optimal learning” hosted on the City of San Francisco website. All the same brain scan images and similar text but different appearance. I get the feeling these images were provided by Dr. Hillman as PPT files that allowed people to go in and modify the style to suit themselves. Note that all the above PDF files started as PPT files according to the Title or Content Creator metadata on the files. Amazing bit of detective work – many thanks! 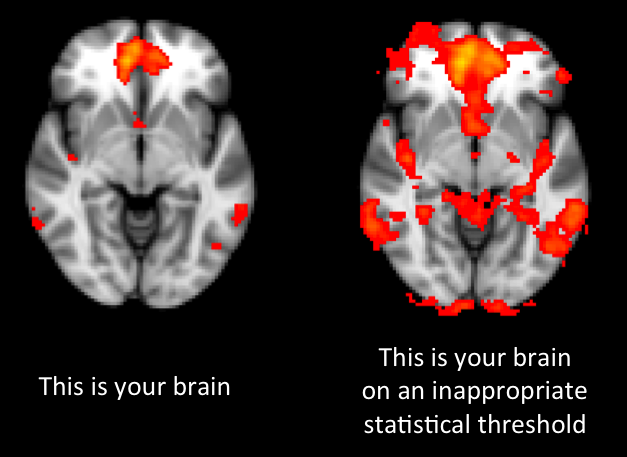 Pingback: The vices and virtues of brain imaging | What is behavioral?